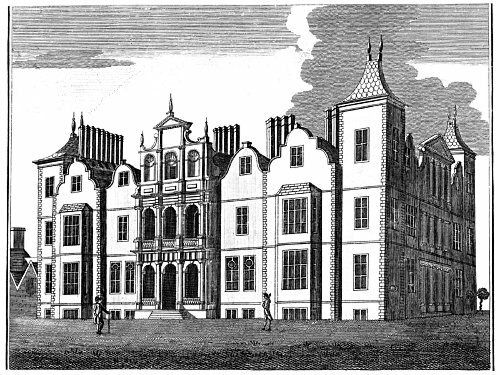 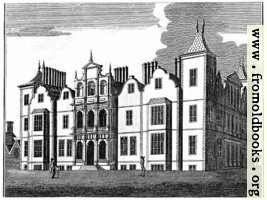 The copper-plate engraving of Houghton House from plate 46. Houghton House was built as a “hunting lodge” and was most likely the inspiration for the “House Beautiful” in John Bunyan’s book The Pilgrim’s Progress, Bunyan living in the nearby village of Elstow..
Today the house is a ruin. I took some photographs on a modern visit, so ask (use the Contact form) if you are interested.